Hello my friends, it’s been a busy few weeks and I’ve been traveling constantly. Whether it has back east for a surprise birthday party, a conference, a training, a meeting or another conference. 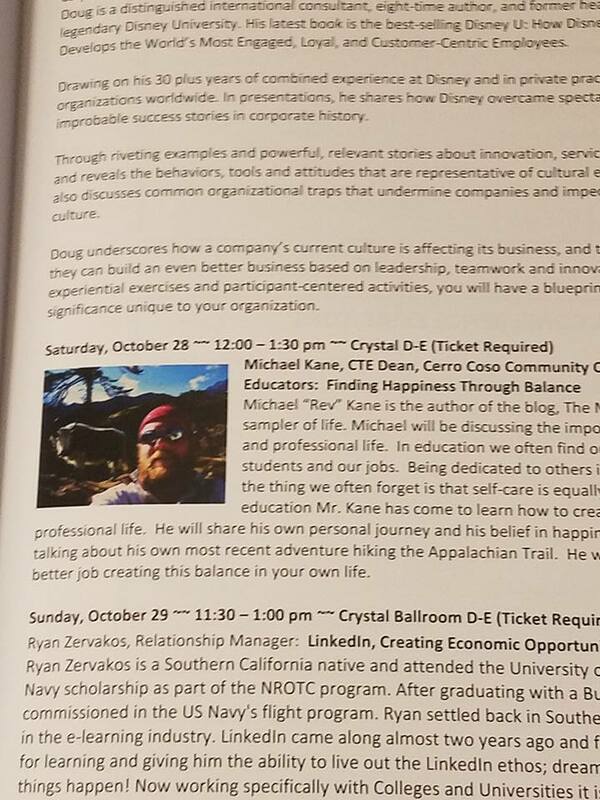 This past weekend I had the privilege of doing one of the keynote addresses at the California Business Educators Association conference and as I show above they did a nice job of featuring my book Appalachian Trail Happiness. I’m traveling again next week so I’m pretty worn out out tonight as I sit down to do my normal Sunday night post. So I decided tonight that I’d go a bit easy on myself and just drop in some of my favorite previous posts. 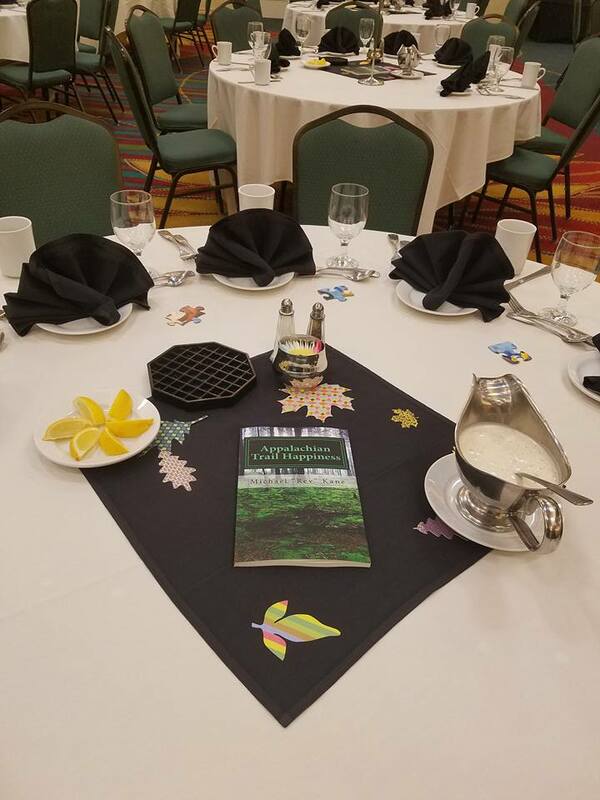 This entry was posted in personal happiness and tagged be happy, conference, happiness, happy, keynote, Michael Kane, rev kane, self care, sunday night. Bookmark the permalink.